The Kyoto Protocol which entered into force in 2005 and is ratified by 181 countries as of today limits greenhouse gas emissions of 40 developed countries and thus brings commercial value to reductions in emissions of these gasses. The national governments which intend to remain within their quotas set by the Protocol, industrial companies bound by the European Union’s emission trading scheme, as well as commercial firms and individuals that wish to prove their environmental consciousness provide support to projects that achieve greenhouse gas emission reduction by buying the credit certifications that prove these reductions. When a greenhouse gas emission reducing project takes place in a country that has not ratified the Kyoto Protocol such as Turkey, this project is listed as voluntary emission reduction and its certification is made accordingly. 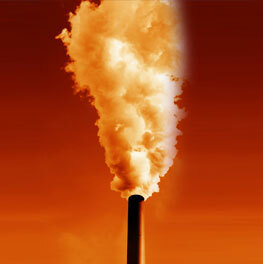 Certification of greenhouse gas emission reductions are based on 1 ton of carbon dioxide (reductions of other greenhouse gas are always converted to a carbon dioxide equivalent) – because carbon dioxide is the unit of measurement, these credit certifications are widely referred as carbon credits. The credit certification requires successful completion of complex process of analysis, documentation, approval, independent verification, registration, and of course project development and monitoring and recording of emissions and emission reductions. These credits are bought and sold all over the world for commercial purposes and rapid-growing market is emerging.